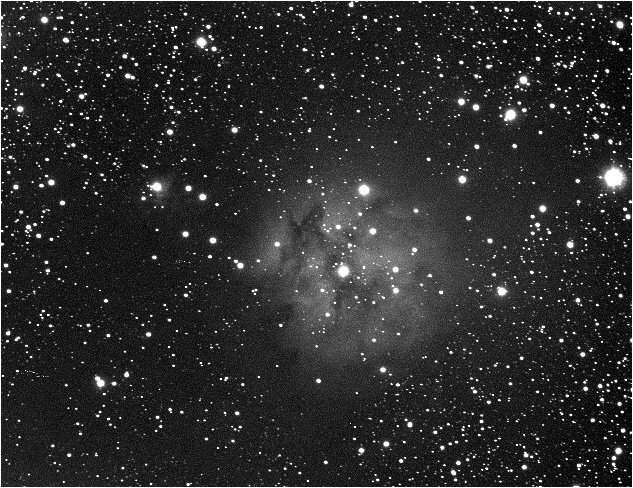 A very faint object ,The Cocoon Nebula is made up of the open cluster IC5146 and surrounded by nebulosity of mostly Hydrogen gas. The nebula is located at the end of a long dark nebule B168. The cluster is made up of mostly 12th magnitude stars. The Cocoon Nebula lies at the end of an interesting dark nebulae, B 168 in Cygnus. The nebula, which includes reflection and emission nebulosity and is bisected by a dark lane of dust. The cluster is not very rich, containing only about 20 stars, the brightest of which is about magnitude 9.6.at the center of the cluster and nebula. Post-processing AA3, Dark framed,gradient removed, mild unsharp masking in AA3. Post-processing AA3,gradient removed,ddp, mild unsharp masking in AA3. 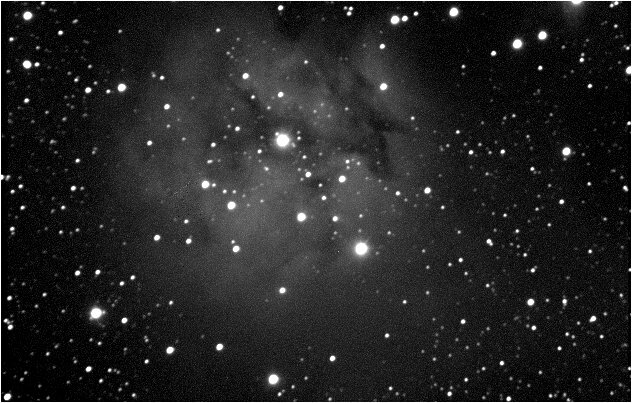 A wider field shot of the cocoon nebula.